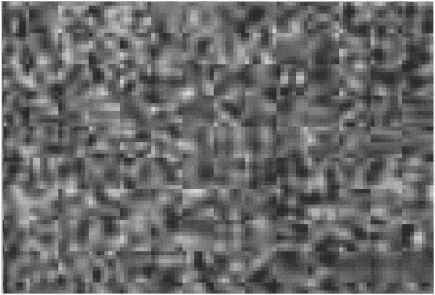 In October 1991, the NASA space probe Galileo took the first detailed photograph of an asteroid while en route to Jupiter. 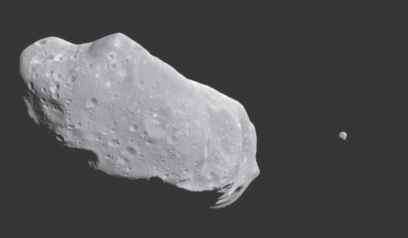 The asteroid photographed, named Gaspra, is an irregularly shaped object measuring about 19 by 12 kilometres. 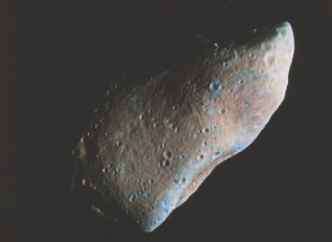 The Galileo probe also passed by another asteroid, Ida, in August 1993. Both Gaspra and Ida are classified as S-type asteroids because they are composed of metal-rich silicates. 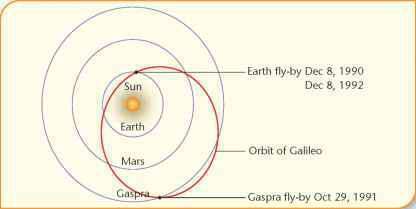 Figure 8.4 Path of the Galileo space probe as it passed by the asteroid Gaspra. Both asteroids are probably fragments of larger parent bodies that were broken apart by catastrophic collisions. Ida's surface is more heavily cratered than Gaspra's, but Ida is much older. Ida has its own companion, Dactyl, which is 1.5 km long and orbits Ida at a distance of 100 km. 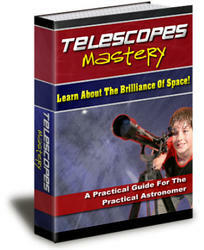 In 1996, NASA launched the Near Earth Asteroid Rendezvous (NEAR) space probe. This probe flew within 1216 km of the asteroid Mathilde in 1997. This encounter gave scientists the first close-up look of a carbon-rich C-type asteroid. This visit was unique because NEAR was not designed for fly-by encounters. The next year, NEAR flew past the asteroid Eros at a distance of 3829 km, and it went into orbit around Eros in February 2000. In March 2000, the probe was renamed NEAR-Shoemaker in honour of the American astronomer Eugene Shoemaker, who had died not long before. In February 2001, NEAR-Shoemaker became the first spacecraft to land on an asteroid when it landed on Eros. In October 1998, NASA launched a probe called Deep Space 1. The probe flew within 26 km of the asteroid Braille in July 1999. The Japan Aerospace Exploration Agency launched the probe Hayabusa on 9 May 2003. The probe's mission was to land on the surface of the asteroid Itokawa, and to collect samples and return them to Earth. The first attempt at landing failed, but the second, in September 2005, was successful. Problems with the probe's engines delayed the return flight and the probe is not expected to return to Earth until June 2011. On its return the probe will release its samples via a re-entry capsule. The capsule should land, using a parachute, near Woomera in South Australia.